Sometimes we forget just how far a game and its graphics have come. 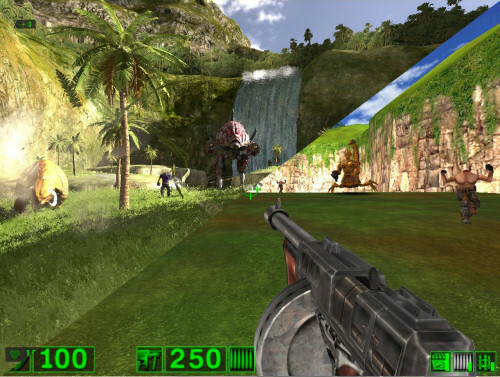 When Serious Sam was launched in 2001 it looked amazing for its time. While eight years might not seem THAT long ago, in computer graphics terms thats like uncovering a piece of Renaissance art in your back yard. IGN has some exclusive shots of the upcoming Serious Sam HD remake for Xbox Live and PC, and the differences are quite amazing. The new game is built on the Serious Engine 3.0, Croteam's upcoming graphical workhorse that will power their next gen Serious Sam game. If this is what developers can do with an arcade style remake, imagine what they can do with a full blown production and budget!